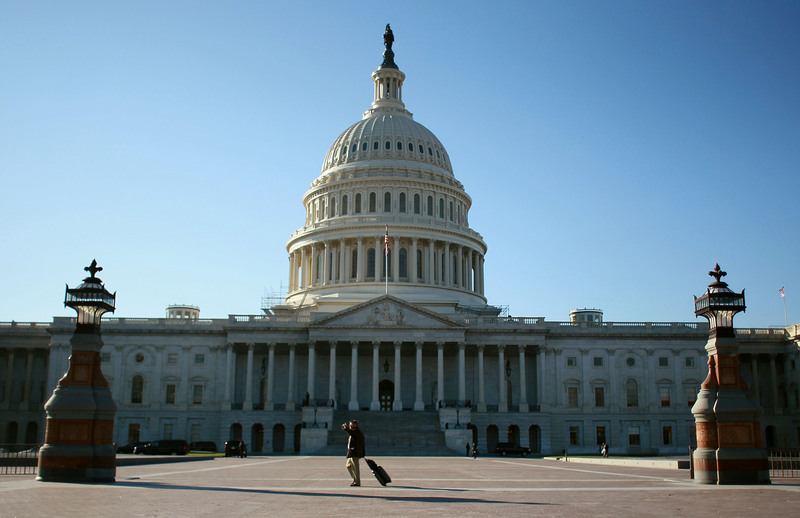 Certain legislators going in to work on Capitol Hill this morning will have a nasty surprise: an industrial spill has closed the House side of the U.S. Capitol, because of an "asbestos-related incident," according to Politico. Anyone who works on that side of the building has been told by the Architect of the Capitol (AOC) (the office in charge of building maintenance) to keep out “until further notice.” Kinda like snow day, except with gross chemicals. The incident reportedly started early Thursday morning, roughly between 2:30 a.m. and 3 a.m., when a part of the ceiling collapsed. According to CNN's Dierdre Walsh, this released "a chemical substance;" the Washington Post confirms that this is likely asbestos. Though the closure won't affect the Senate (which is on the north side of the building), much of the rest of the building has been taped off, keeping out legislators and visitors alike. Certain familiar faces of politics will be particularly affected — House Speaker John Boehner (R-Ohio) has his office on the House side of the building, as do Majority Leader Eric Cantor (R-Va.) and Minority Leader Nancy Pelosi (D-Calif.). It's as yet unclear if the asbestos has made its way onto their desks. Whether the House of Representatives — which is meant to meeting this afternoon to hold votes on bills relating to funding the Energy and Treasury departments — will have to convene somewhere else, also remains unclear. During ongoing asbestos abatement work there was a potential release affecting the House side of the Capitol. Samples have been collected to determine whether there was potential exposure. The Architect of the Capitol and the U.S. Capitol Police are investigating and will provide updates when available. Asbestos, which actually just a type of fibrous material, is quite common but pretty dangerous — the Mesothelioma Center estimates that roughly 32,000 people died in the United States between 1999 and 2010, thanks to asbestosis or mesothelioma. It's also one of the leading causes of work-related deaths across the pond — just recently, the Duke and Duchess of Cambridge reportedly spent a 4 million (taxpayer) pounds repairing their Kensington Palace apartment, in part removing asbestos. Let's hope that's not what the AOC has in mind.